Technique: Stand the patient. 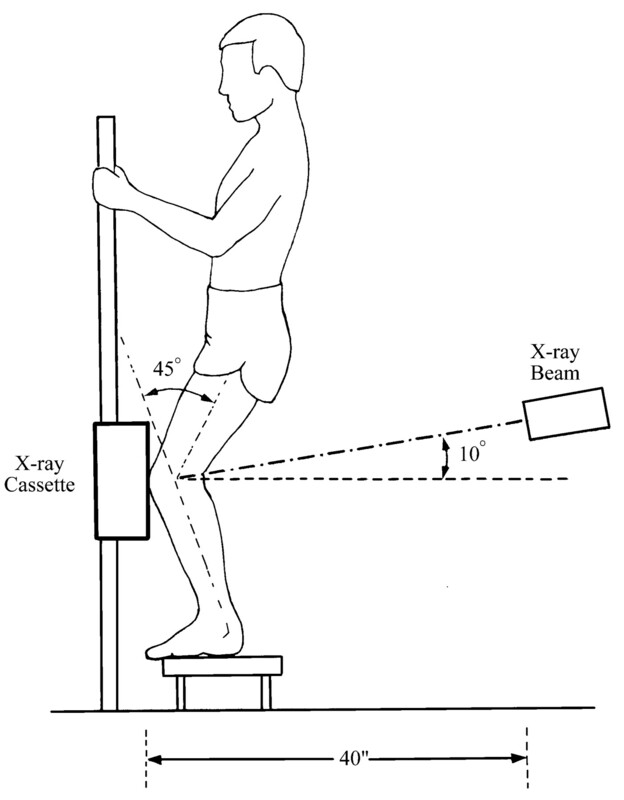 Have the patient flex the knee by 45° (From a 180° thigh-to-knee angle to 135°). The patella should be touching IR. Beam Direction: 10° caudad (0 to 30° caudad by various other authors).